Be the envy of all you meet! 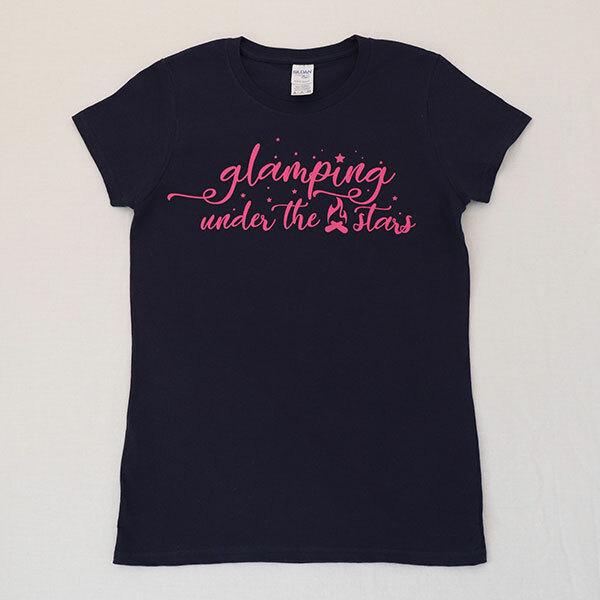 Not only have you booked a brilliant glamping trip, you have a beautifully designed, limited edition, T-shirt to remind you of those happy days & nights under the stars. Available in ‘Night Sky Navy’ or ‘Hot Pink’. Go glamping. Get the T-shirt! Adult T-Shirts are €20, including VAT & postage throughout the island of Ireland. Kids T-Shirts are €15, including VAT & postage throughout the island of Ireland. Looking good in night sky navy! 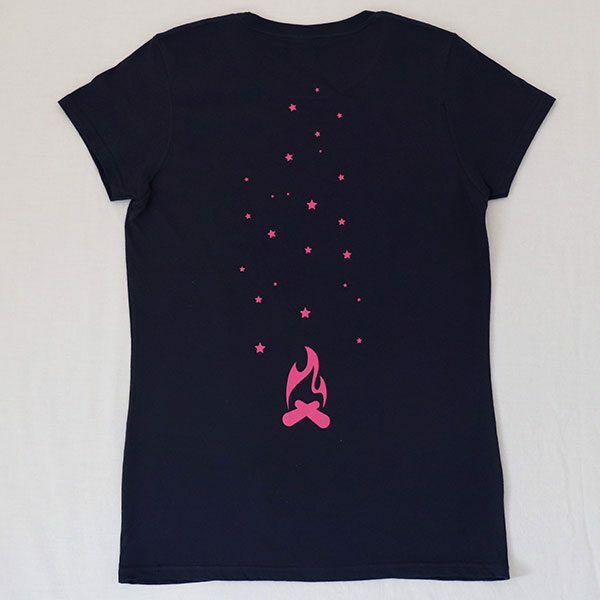 Classic round neck t-shirt in night sky navy, featuring a unique ‘campfire and sparks’ design on the back, and our stylish logo on the front. A cool wardrobe accessory & the perfect reminder of your glamping trip. 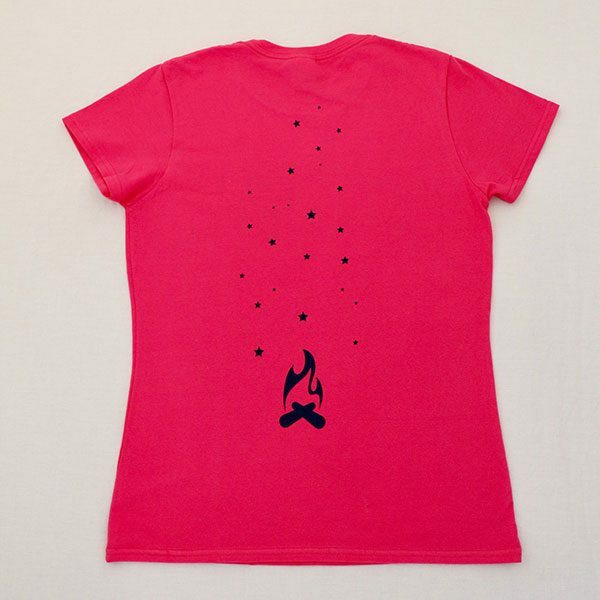 Classic round neck t-shirt in hot pink, featuring a unique ‘campfire and sparks’ design on the back, and our stylish logo on the front. 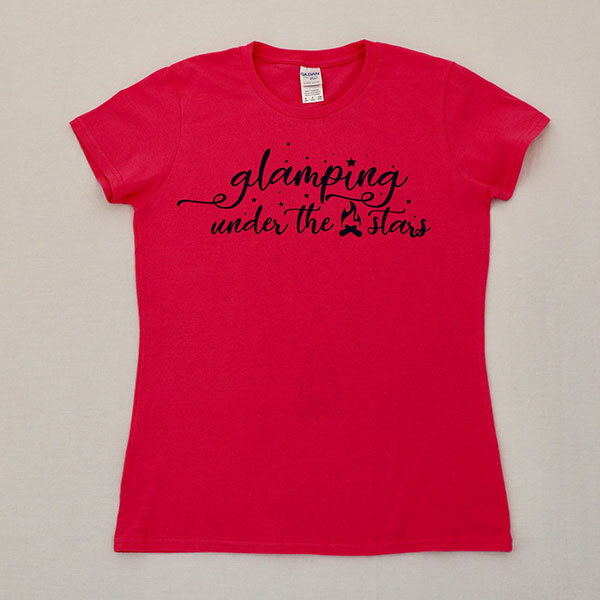 A cool wardrobe accessory & the perfect reminder of your glamping trip.